This pretty, vintage 3 tier wedding cake was created in vanilla buttercream. The cake was piped in a ruffle on the top and bottom tiers and on the center tier we created a textured look. 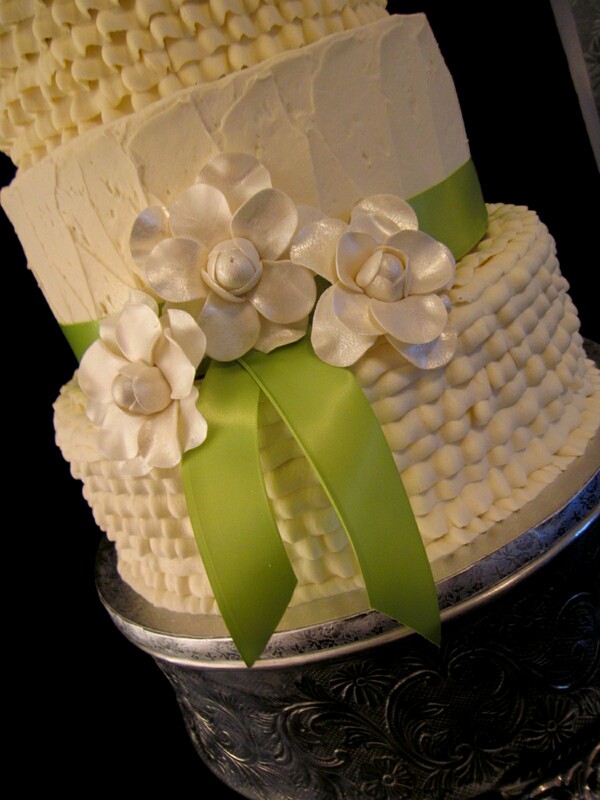 The satin ribbon is in a sage green adorned with gumpaste and shimmered gardenia flowers. 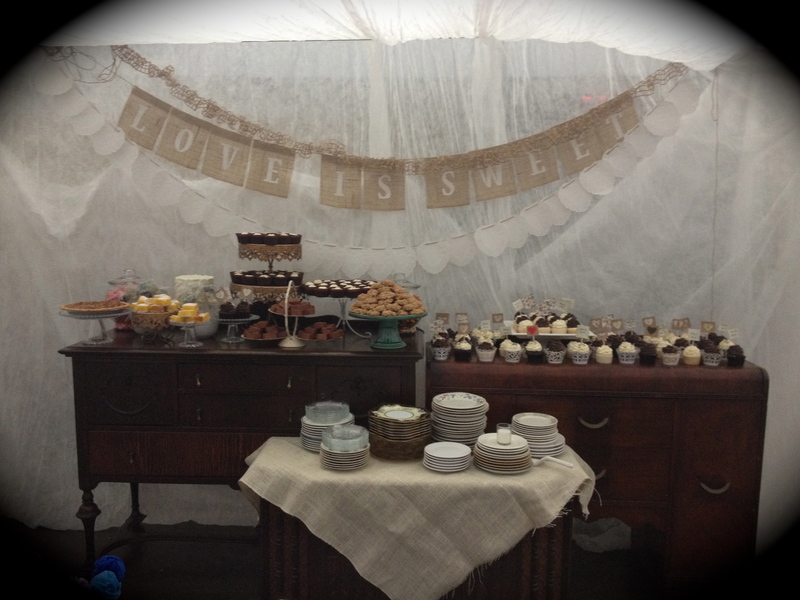 To schedule your complimentary consultation and tasting, call The Twisted Sifter Cake Shoppe at 859-238-9393. This beautiful lavender and purple wedding cake was iced in a vanilla buttercream texture and adorned with satin bows. The bride and groom chose a silver monogram as their topper. The reception was held at Anderson Dean park in Harrodsburg, KY.
To schedule your complimentary consultation and tasting call The Twisted Sifter Cake Shoppe at 859-238-9393. We wanted a unique twist on the typical United States cake. We decided that instead of outlining the states we would use 3 dimensional symbols for the states. A pine tree for Washington, a surf board for sunny California, a saguaro cactus or Arizona, a long horn for Texas, ears of corn for Iowa, cheese for Wisconsin, a pink flamingo for Florida and of course, an apple for New York. To order a cake for your special someone, call The Twisted Sifter Cake Shoppe at 859-238-9393. For more information, visit our website at www.TheTwistedSifter.com. This beautiful green, ivory and gold wedding cake was created for a wedding reception held at The Ashley Inn in Lancaster, KY. 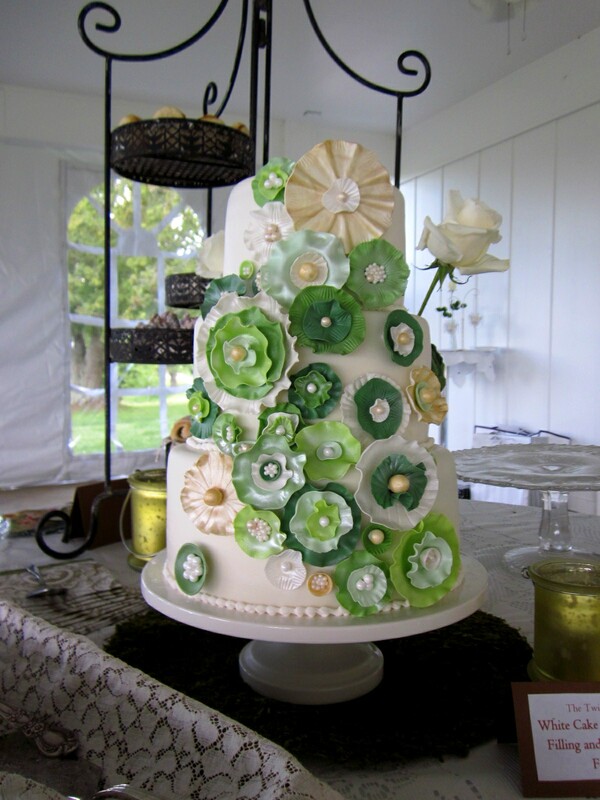 The cake is 3 tiers, covered in marshmallow fondant and adorned with gumpaste, free form flowers in various shades of green, gold and ivory. 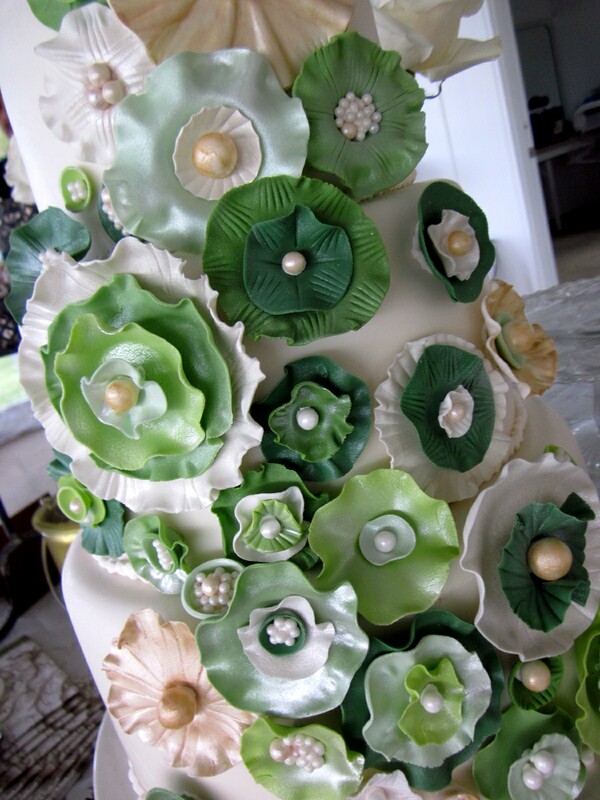 The flowers are decorated with edible pearls and shimmered. 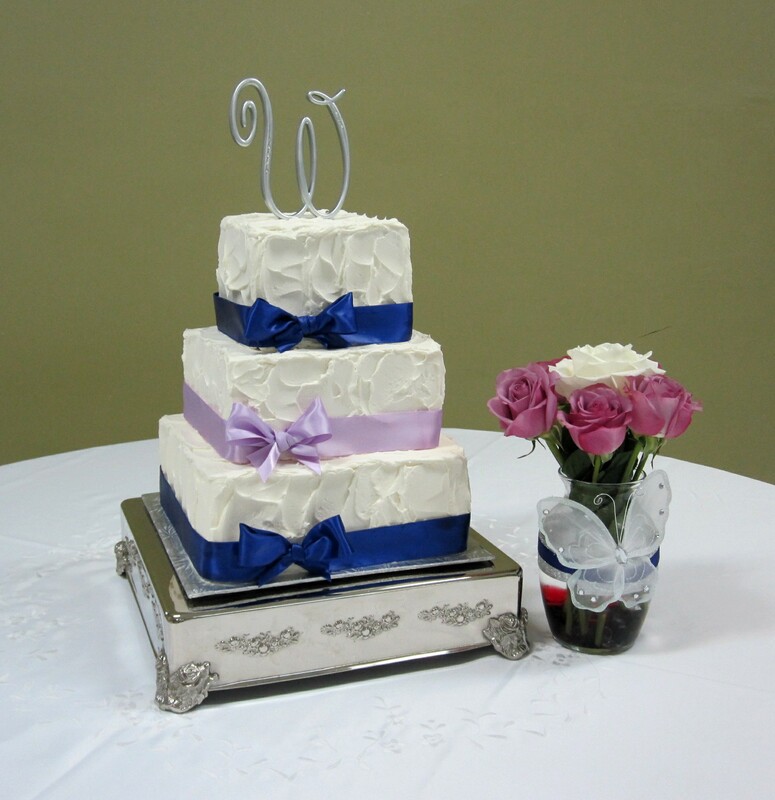 To schedule a complimentary wedding consultation and tasting, call The Twisted Sifter Cake Shoppe at 859-238-9393. 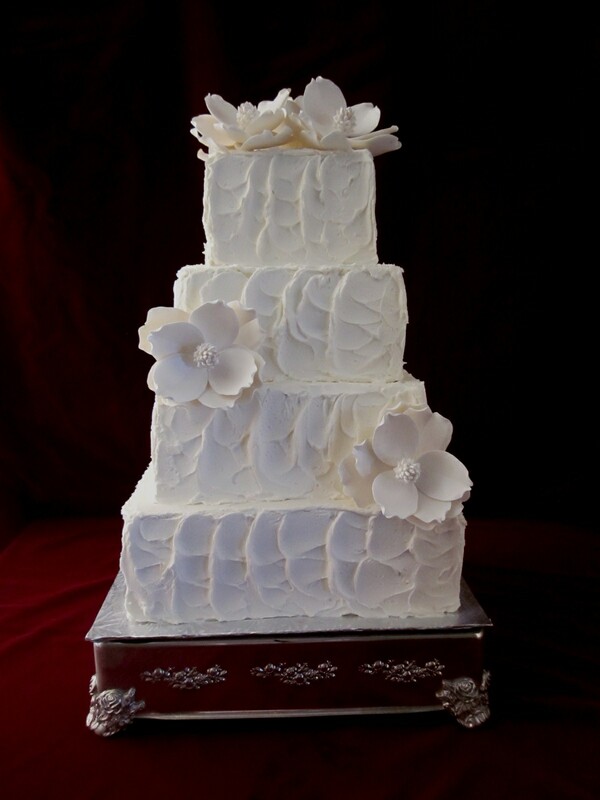 This simple and elegant 4 tier wedding cake was iced in a texture fashion with a vanilla buttercream. The magnolias and the cake were shimmered in ivory. The cake was for a reception being held at Asbury College in Wilmore, KY.
To schedule a complimentary consultation and tasting, please call The Twisted Sifter at 859-238-9393. This pretty textured lemon buttercream cake was created for a wedding reception held at the Pioneer Playhouse in Danville, KY. 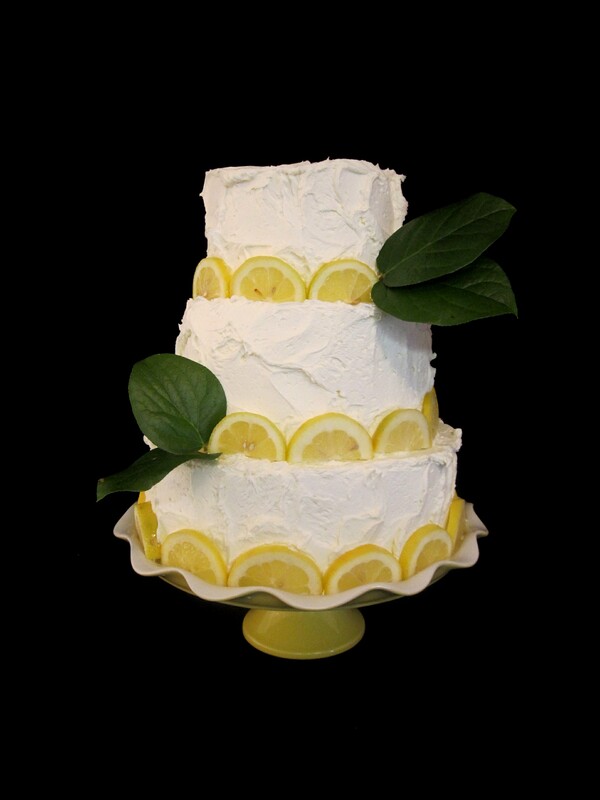 The cake is adorned with fresh lemon slices which made the cake smell amazing. The BBQ dinner was catered by Lucky Dog BBQ. 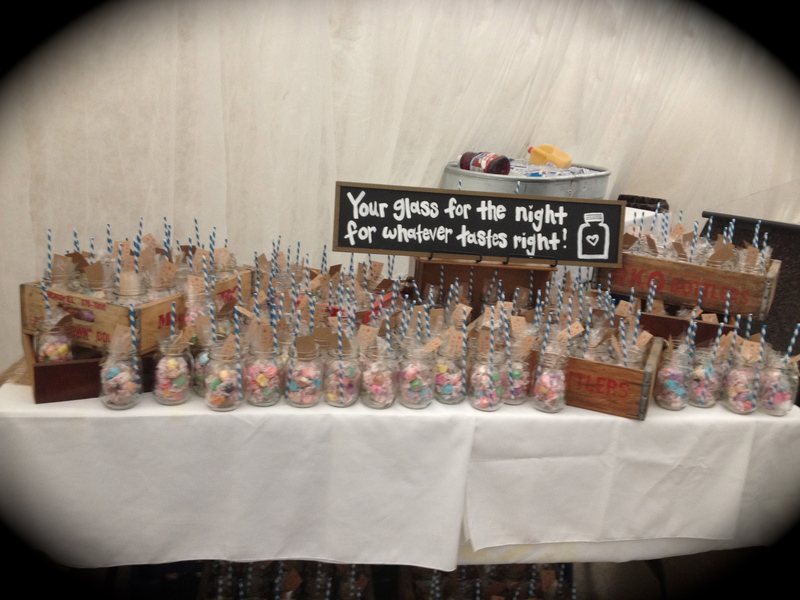 To schedule a complimentary consultation and tasting, call The Twisted Sifter at 859-238-9393.